These terms apply to all purchases of goods when ordering them online, by telephone, fax or e-mail. Read this document carefully before ordering the product. The User shall be liable for all actions from his/her registered user account and the information that he/she has entered, as well as the confidentiality of the password and user account. The User shall not pass on user details (user name and password) to third parties. The user details may be used only by the particular user (natural or legal person) to whom they are assigned. The user shall not take actions against the system security. In case violations are found, APITEKS SIA reserves the right to unilaterally terminate the provision of services without prior notice and without explaining the reason. Procedures for submitting and examining a consumer claim on a product or service that does not conform to the contract terms or with the consumer's rights and obligations may be read at Consumer Rights Protection Law. By placing an order the user agrees that processing of submitted data is performed by APITEKS SIA, Mālu iela 7-14, Riga, LV-1058 in accordance with the Personal Data Protection Law. APITEKS SIA shall undertake to ensure that the goods are received in due time and volume in accordance with the description of the products and services. In case of uncertainty the user shall be given help. 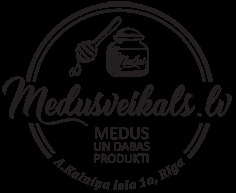 By using Medusveikals.lv online shop you confirm that these terms are understandable and undertake to meet them and to follow their amendments regularly.